You know your dad’s the best—and the best dads have the best stories. 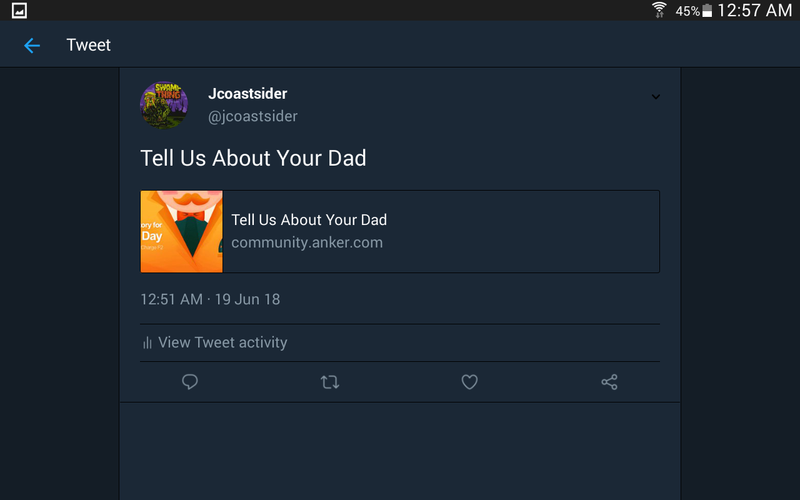 We’d love to hear your favorite story about your father. As a little incentive, we’ll give you a prize! If you love cars and tech, then you’ll definitely like what Roav has up for grabs. Perfect for cars lacking Bluetooth, SmartCharge F2 will link to a phone via Bluetooth and transmit the audio on an FM frequency. Just match the car’s radio to the same FM frequency and enjoy your favorite tunes. Of course, we named it SmartCharge for a reason. It’s got a dedicated app that records where you parked and guides you back and can also display your car’s battery status. Plus, there are 2 USB charging ports, one of which supports plug-and-play for thumb drives. Just tell your favorite story about your dad in the comments below, share it on Facebook or Twitter, and get your chance to win a SmartCharge F2. We’ve got 5 to give away—but don’t worry, even if you don’t win, we’ll give you a 10-20% discount code for SmartCharge F2 and a 16% discount code for SmartCharge Spectrum. Any story you like. It can be short and simple, or long and detailed. You can tell a funny story or a touching one. So tap into your creative side, and let your dad be your inspiration for this Father’s Day event. We can’t wait to hear about some great fathers from our Anker Community! 1.Leave a comment with an anecdote about your dad and share it to Facebook or Twitter. You’ll have a chance to win 1 of 5 Roav SmartCharge F2 car chargers. 2.We will pick the top 5 entrants who get the most likes on their comments and meet our requirements as the winners. If multiple people get the same number of likes, we will select the winners according to the quality of their story. 3.If you do not win the giveaway, we will give you a 10-20% discount code for SmartCharge F2 and a 16% discount code for Roav Spectrum for the US and UK fans. The code can be used any time before June 30th. 4.Event valid in the US and UK only. 5.Event runs from June 13th to June 18th. 6.We will announce the winners on June 20th. 7.Anker reserves the right of final explanation. Thanks to all the participants, your story makes this Fathers Day that extra bit special. You guys won our Roav SmartCharge F2, it's a good product for you or your father! So thanks everyone again - and the best wishes to all the wonderful fathers out there! beautiful idea. thanks for the discounts. So any story to share? When I was about 9 or 10 years old my father and I took a trip to visit some family in Los Angeles and go to Disneyland. We had a blast running around the park and going on rides that day. That is until we arrived at the Matterhorn. After waiting in line for more than an hour probably closer to two hours inching ever closer to the ride I realized the Matterhorn was a roller coaster​ . After a particularly terrifying experience on a small coaster at the County Fair the year prior I was not very eager (terrified) to ride a much larger coaster and refused to stay in line and go on the Matterhorn. My father loves roller coasters and wanted to ride it but I wasn't having any of that. After trying briefly to convince me to go on the coaster he relented and we walked to another ride. I felt bad for wasting hours waiting in line when we had such limited time there. He was disappointed but very understanding. 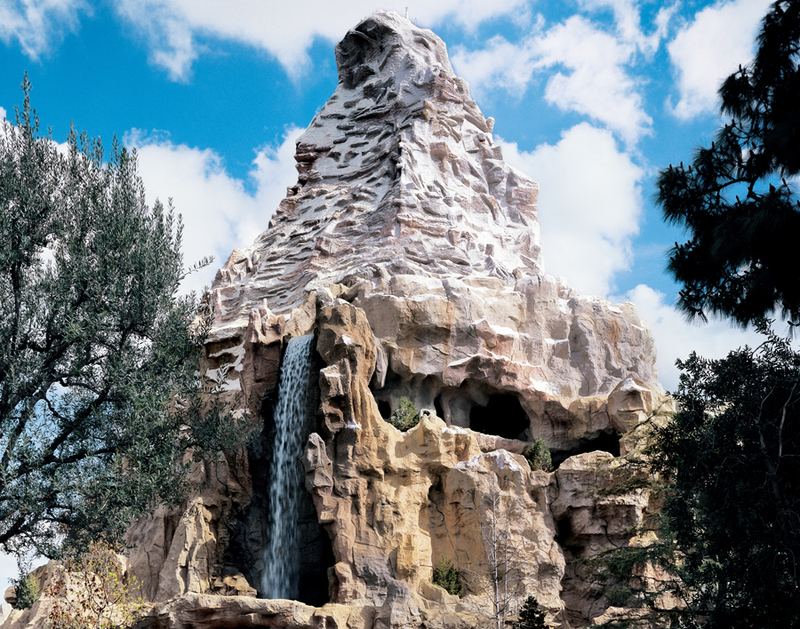 I'll never forget the moment I realized the Matterhorn was a roller coaster I remember it vividly sights smells and especially the noise. Fast forward 20 years and we both share a love for coasters and go to 6 flags park or great America at least once a year. I'll never forget the patience and not forcing me to do something I was not ready to do my father showed that day at Disneyland. That quality is something I hope to share with my children someday. As I have never had parents, I haven't a story to tell. I'm not an orphan, they just gave me up when I was 6 months old. My dad used to wake me up at 6AM on weekends to help him sell things. We would stop by local donuts shop to buy coffee and donuts/bagels. For lunch, we usually hit one of the stands that sold bbq pork an fried rice. Delicious. Throughout the day, I would watch in amazement as he haggled with hagglers and smiled after the deal almost every time. He helped with move into my new home and helped me with get settled in. He picked me up from college when I needed a ride hom. He gave me weekly allowances prior to working with him at the flea market. Bunch of other things, but the man smokes too much. Is he originally from a different country? Do you think he's trying to do spoonerisms? I don't remember much from my father. I know growing up he had spent time in jail, and when he got out he tried to make up for lost time with us. He did everything for us after that, something I took for granted at the time. I thought, because he wasn't living with us, he couldnt tell me what to do and I pressed my luck with him all the time. I pushed the boundaries of what I could get away with and soon found that while I thought I was all grown, he quickly put me in my place...while he never hit me, his booming voice and demeanor alone scared me. We all assume growing up our parents would always be there, but when I was 16, my father got sick and was always in and out of the hospital. I quickly got over trying to be a bad kid giving him a hard time, I became the worrying and very afraid kid. He woke me in the middle of the night one night, because he said felt something wasn't right and that I should get my grandmother, we rushed him to the hospital where he was admitted. I was freaking out and crying, he told me to leave and go to my aunts house, I refused and didn't want to leave his side. He grabbed me and said look at him, and in a soothing voice he told me to calm down and to leave. He said he loved me and that I was his inspiration for living. That was the last time I saw him, i had later found out that he passed away a few days later. I didn't understand then, but I do now, he wanted me to remember him as i had growing up and not as he was that day in pain. I know its tragic, but i will never forget all that he had done for me and my sisters, even more so the love and compassion he showed and expressed through all his pain. He is the son of german immigrants raised in Texas, who then moved to Commiefornia. No I think it may just be lack of a highschool diploma He dropped out grade 9 to work his families farm after beating up the highschool principal after he was falsely accused of ditching and he was not about to take a paddle he said. Despite his lack of education, the man is smart he can build and fix just about anything and made a career out of it. Over here (England) we have a saying... He may not be book smart, but he's a very clever person. Meaning, he may not have diplomas, but it don't mean he's stupid. My last foster parent's grandson, Philip, is a very clever academic. He owns n runs a very successful company making apps n software for iPhones n other things, but he ain't very good with his hands, or common sense. I remember one time, when visiting, he was trying to put together a roof rack, and bars n then put in the car. I got a tenner for it.. woohoo ... A tenner in the 80s was quite a bonus. Your dad sounds great, what I'd expect a dad to be like. This requires a lot of background, so bare with me. Way back in 1973, my parents moved from Rhode Island to California so that my dad could finish his electricians apprenticeship. My brother was 6 months old and I was still 3 years away. A woman my grandmother was working with at the time pass along her sister's name and phone number since she lived in the same part of San Diego my parents were moving to and had 3 teenage daughters (holidays with them and two of the daughters were babysit us, we went to weddings, baptisms, and once the daughters had children of their own, I started to babysit. When I was in high school, one of the daughters came over to talk to my parents--her husband had taken off some time prior and she finally tracked him down. She had come over to let them know and ask if she could borrow money for a divorce. My dad didn't hesitate--because her family had been so good to his for so long, had treated us like family, they simply gave her what she needed. All of these years later, and I'm not sure they even know I was on the sofa, watching TV, and listening in on part of the conversation, but it was one of those inadvertent lessons that stuck with me--family doesn't have to be blood, and you help each other out whenever possible. My dad's awesome, he's always been a rock. A piece of advise he's given will always stay with me. "Whatever you want in life, give it your best shot. If you get it - great. If you don't, that's even better - something better awaits."